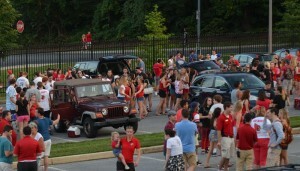 Cardinal tailgate for the Football Home opener against McDaniel. The first Cardinal Tailgate of the football season is this Saturday, September 12th, starting at 10:00 AM. Custos, Catholic University’s very own spirit tradition holder, is sponsoring this highly coveted event. 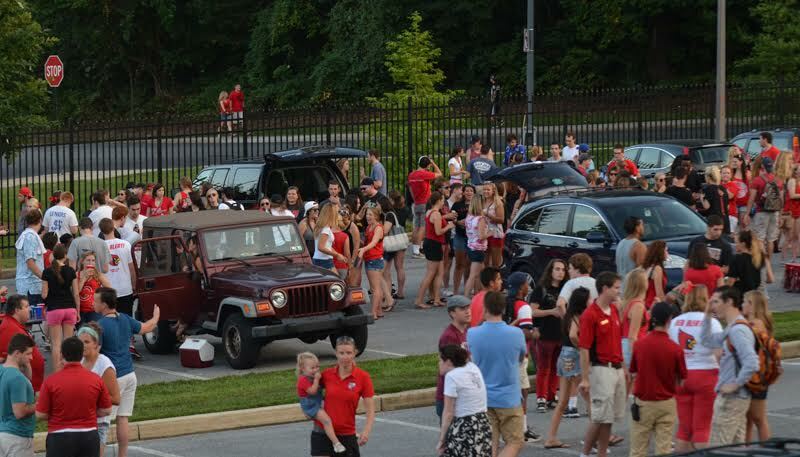 Starting with free food, games, and prizes for the most spirited tailgate, this event is one that every member of the CUA community should not miss. Catholic University students are not the only attendees who enjoy this event. Department chairs, faculty members, staff, and even Mr. and Mrs. Garvey accompanied by their beloved dog, Gus, attend this event annually. Supporting the school football team, eating delicious food, and winning exciting prizes make a great combination for a school event that promotes our spirit and love of CUA. ← Previous Previous post: It’s 10pm, Do You Know Where Your Frat Is?